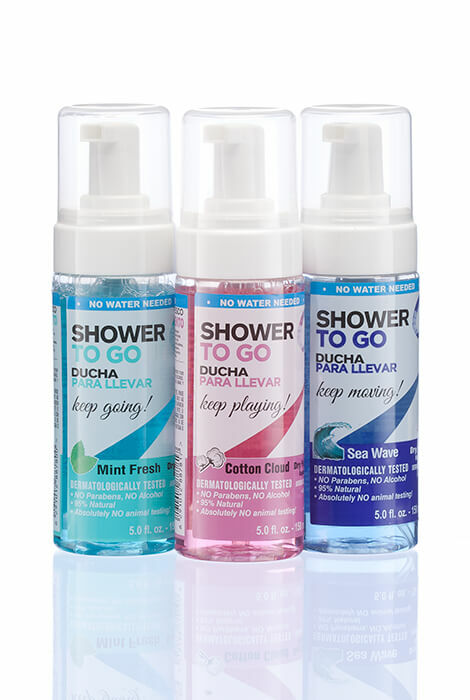 Freshen up anywhere — no water, rinsing or towel needed. 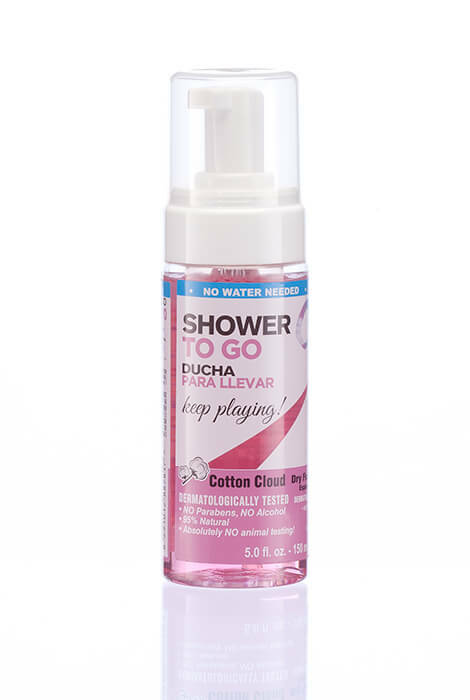 Shower-To-Go Foaming No Rinse Body Wash is gentle on skin, leaving it feeling clean and soft thanks to lightly moisturizing extracts of aloe vera and panthenol. Simply apply this natural body wash all over or to targeted areas and rub into skin. Dries in 20 seconds, leaving you feeling fresh and clean as it kills the bacteria that causes odors. 95% natural formula contains no alcohol or parabens. Perfect for traveling or quickly freshening up after a workout. Choose from 3 great scents: mint fresh (spearmint and cucumber), cotton cloud (apricot and lemon) or sea wave (chamomile). 5 oz. Formulated with moisturizing extracts of aloe vera and panthenol. 95% natural formula contains no alcohol or parabens. Specify scent: mint fresh (spearmint and cucumber), cotton cloud (apricot and lemon) or sea wave (chamomile).